"A penny saved is a penny earned?" is a quote is attributed to Benjamin Franklin, one of the most famous Americans of his and our time. Benjamin Franklin held many titles including civic leader, scientist, and world traveler. Besides his many contributions to the scientific world, Ben Franklin is known for his many inspirational quotes. Who Said "A Penny Saved Is A Penny Earned?" Benjamin Franklin was born in 1706 and died in 1790. During his lifetime, he witnessed such important historical events as the creation of Bach's Brandenberg Concertos and Handel's "The Messiah," the death of Peter the Great, the discovery of Pompeii, the French and Indian War followed by the Revolutionary War, and the adoption of the Gregorian calendar. Ben Franklin also said, "a penny saved is a penny earned?" However, whether he really said these exact words, or a similar phrase that has been misquoted for many years, remains a controversy. "Who Said \"A Penny Saved is a Penny Earned\"?." YourDictionary, n.d. Web. 20 April 2019. <https://quotes.yourdictionary.com/articles/who-said-a-penny-saved-is-a-penny-earned.html>. “A penny saved is a penny earned?” is a quote is attributed to Benjamin Franklin, one of the most famous Americans of his and our time. 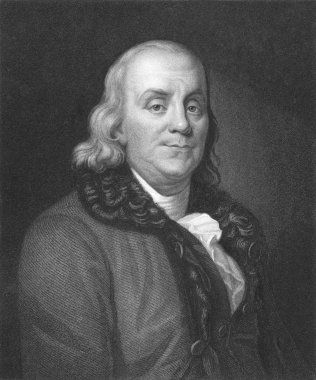 Benjamin Franklin held many titles including civic leader, scientist, and world traveler. Besides his many contributions to the scientific world, Ben Franklin is known for his many inspirational quotes.